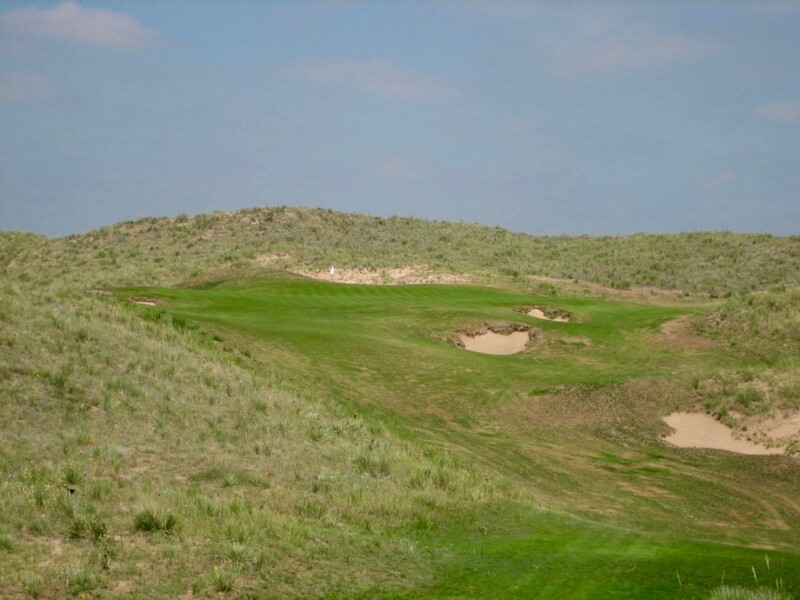 The wonderful short 14th gives you the sense of the bubbling terrain of Ballyneal and the Chop Hills of Holyoke. 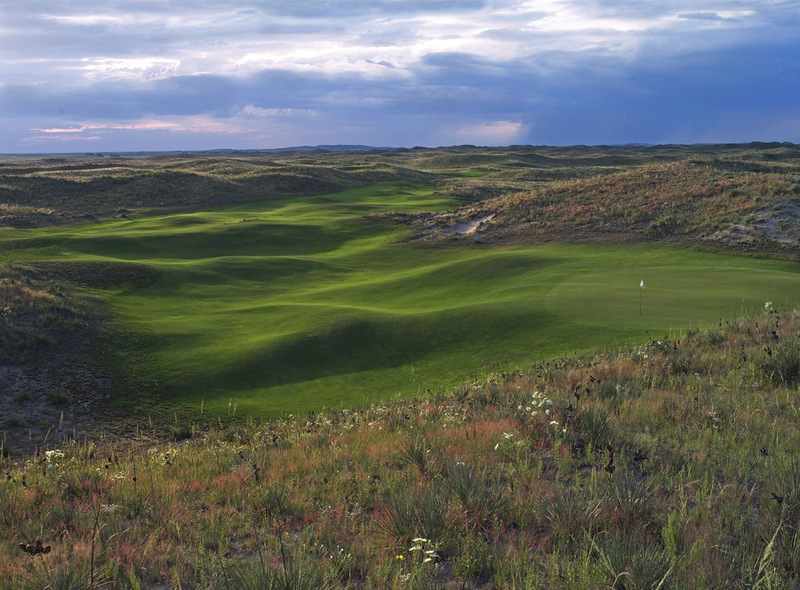 Someday we’ll be able to talk about Ballyneal in the northeastern corner of Colorado without referencing Sand Hills, as I’ve already just done. It’s kind of like how it took about 15 years for every new violent, ironic crime movie not to be viewed through the lens of Pulp Fiction. Such is the advantage of being first—you get to set the terms of the debate. But a fact of life for the intermediate future is that as more clubs trickle open across the vast, fascinating wildernesses of the American high plains (Sutton Bay, Dismal River and The Prairie Club to name three, though there aren’t many more likely to open any time soon) they’re going to be analyzed and cross-examined against both The Touchstone and each another. It won’t last forever—we can easily talk about Shinnecock without thinking about NGLA, Riviera without Bel Air and LACC, etc.—and when it finally stops, and it already is, Ballyneal will be recognized as its own singular expression of American golf greatness. 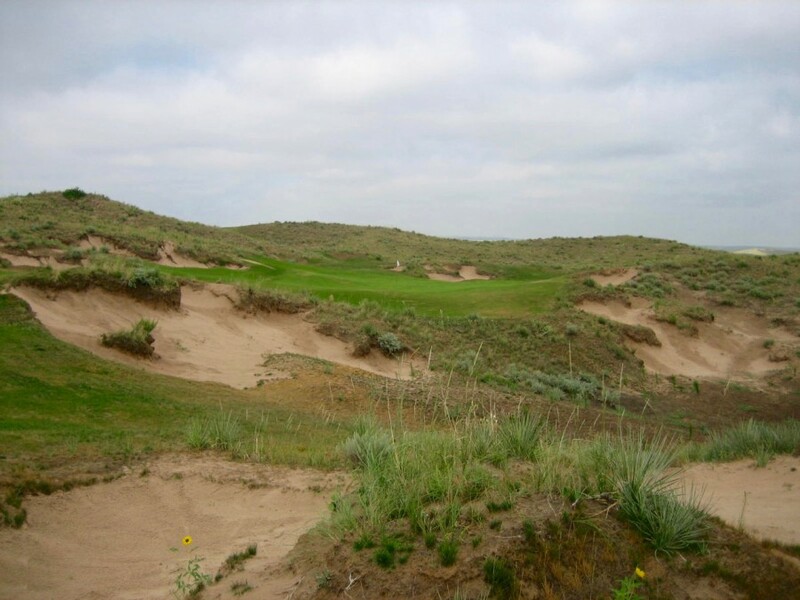 In the meantime I find comparison to Sand Hills useful only from the proverbial 30,000-foot view: both courses gallop freely and naturally through big fescue-covered sand dunes in the middle of North American nowhere. 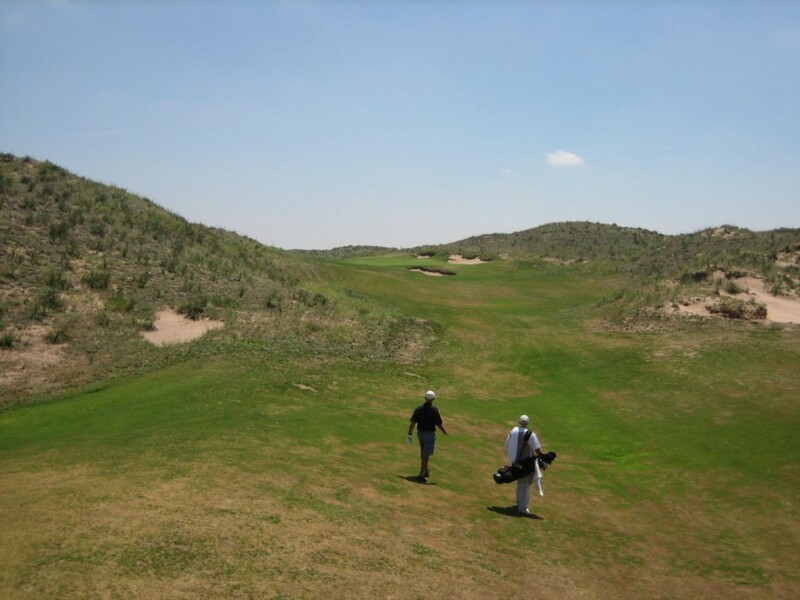 But at ground level Ballyneal has much more extreme ground movement, and as such, whether natural or modified, it’s easier to believe that the Chop Hills here, as the locals call them, were simply left alone, mown and seeded–as was the case at Sand Hills. Natural or “discovered”? I don’t know, but the par-3 3rd is spectacular to look at, and a trip to play into. The untamed undulations and firm grasses kick balls every which way: into hollows and bunkers, across plateaus and down ramps. There’s so much random kinetic energy stored in the ground it’s impossible to imagine any two rounds ever being played remotely the same way. I can’t think of an American course where inertia and gravity have a more profound and entertaining effect on the outcome of a shot. Peak to peak: the par-3 11th plays from an elevated dune across a valley to a big green cut into another elevated dune. 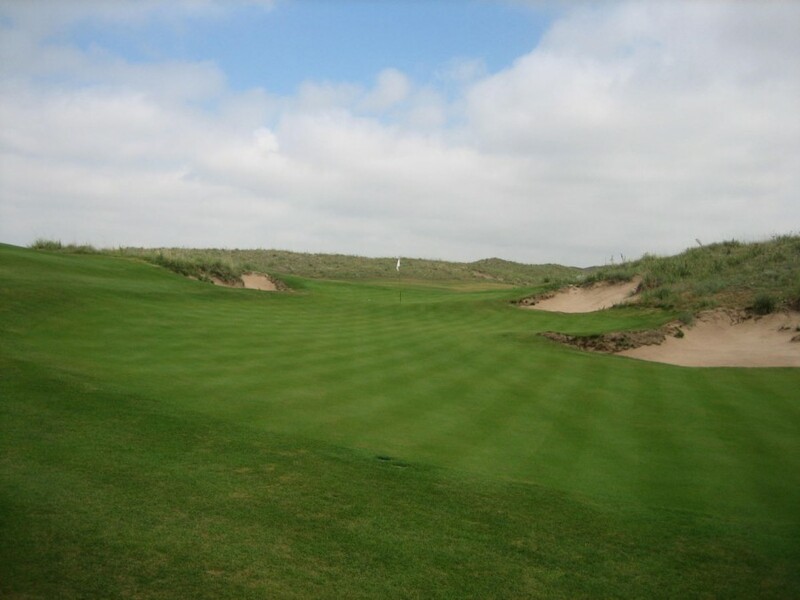 My favorite holes are the shorter half-par holes like the 7th, 8th and 14th where untamed green surfaces are microcosms of the surrounding dunes, although I’d put the long par four 17th into this category as well. The only hole I’m not in love with is the 18th partly because of where it falls in the round, sitting out at the edge of the property near the entrance road like an army’s exposed flank. If it occurred somewhere else it would make a passable, tough transition hole to link us to a more interesting part of the property. As is, it’s the most stock hole on the course and serves primarily as a decompression chamber to ease you away from the more frenetic and fantastical areas of the property. I’m lukewarm on the uphill, par-4 9th too because there isn’t really anything to look at or to decipher from the tee or the fairway, although I know one person who disagrees—my father. He made a 2 there. 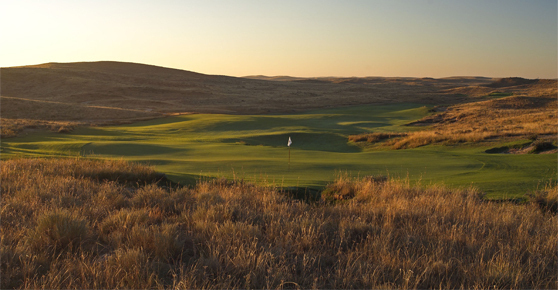 This, the 18th, qualifies as an “average” hole at Ballyneal. Into the Chop Hills. The par-3 15th gives a sense of the size and scale of the Ballyneal landscape. Wow.. What a stunning looking course.